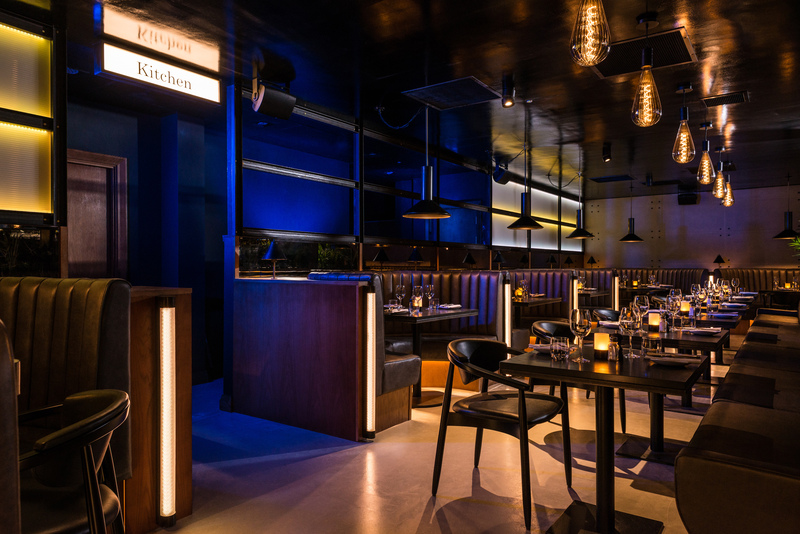 Glasgow-based hospitality and lifestyle group RUSK & RUSK have expanded their bar and restaurant portfolio with a sixth venue, The White Box. In April 2010, the team launched The Butchershop Bar & Grill opposite Kelvingrove Museum and followed up with Hutcheson’s City Grill in Glasgow’s Merchant City in July 2014 along with The 158 Club Lounge on the same site. The Spanish Butcher opened in December 2016 and the team opened the California-inspired restaurant and bar So L.A on Mitchell Street in late 2018. Their sixth venue, The White Box, is a versatile, subterranean events space beneath So L.A. aimed at small weddings, corporate presentations, art exhibitions, fashion shows and drinks receptions. The space caters for between 20 and 150 guests and includes dedicated events coordinators, wheelchair lift access, an integrated sound system and full-service in-house catering by RUSK & RUSK. The new venue brings the RUSK & RUSK collection to six distinct venues and, for the first time, the group now employs over 200 members of staff. 2018 was the most successful year yet for the Glasgow-based company with approximately 4,000 guests per week, up a quarter on the previous year. Alongside the expansion of its hospitality and lifestyle business, the group also celebrated a record-breaking run of award wins with international and local recognition for every venue in the collection. Highlights include The Spanish Butcher being named Most Stylish Restaurant at the 2018 Scottish Style Awards and shortlisted for Best UK Restaurant at the GQ Food & Drink Awards while being described as one of the ‘hottest new restaurants in the world’ by CNN. As 2019 continues, the group is looking to diversify in to new areas.